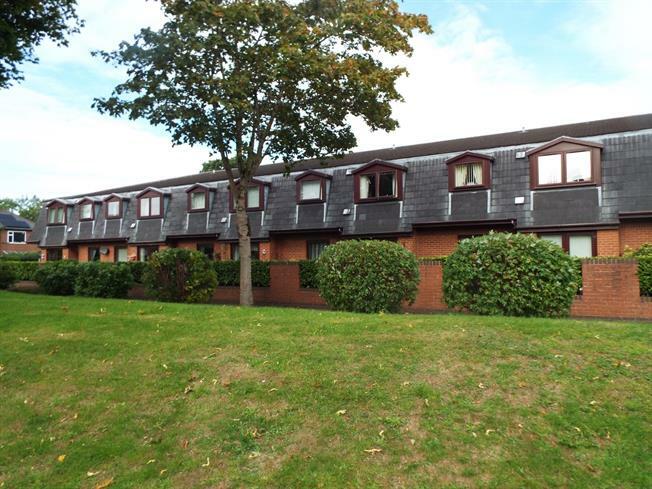 1 Bedroom Flat For Sale in Preston for Asking Price £49,950. A purpose built over 55's residence in a sought after location. A one bedroom ground floor apartment which consists of a welcoming hallway with large storage cupboard, lounge with a floor to ceiling window and door opening onto a patio area and fitted kitchen. There is a double bedroom with fitted furniture and a newly fitted modern three piece shower room. Externally, the communal gardens are very attractive and well kept which also benefits from communal and visitor car parking. Offered with no chain delay. Entrance fire door into the apartment. Storage heater, carpeted flooring. Access into a large storage cupboard. UPVC double glazed door. Double glazed uPVC window facing the rear. Electric fire and storage heater, carpeted flooring. Vinyl flooring, part tiled walls. Roll top work surface, fitted wall and base units, stainless steel single sink with drainer, space for oven, space for fridge/freezer. Double glazed uPVC window facing the front. Carpeted flooring. Fitted wardrobes and furniture. Built-in storage cupboard. Vinyl flooring, panelled splashback walls. Low level WC, double enclosure shower, pedestal sink.